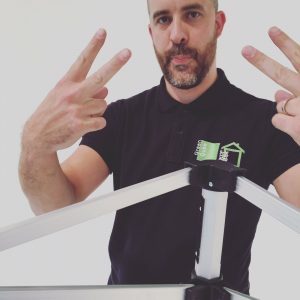 Green-Qube’s Director, Dan, spent some time with Maximum Yield recently so they could learn how the Green-Qube, Roof-Qube and Quick-Qube grow tents have become so successful! Featured in their Movers & Shakers section, Dan discusses how innovative is vital to Green-Qube’s growing popularity and how our range of grow tents is spreading globally! Green-Qube design and manufacture high quality, technology-led hydroponic grow tents for home growers predominately in the UK and Europe. We lead the way in terms of product development and aim to be the first to introduce new ideas and grower-beneficial features into the grow tent industry. We work closely with growers, hydroponic shops and industry leaders and have established an open dialogue for feedback and product development ensuring that have continual fresh tent updates and creative improvements. 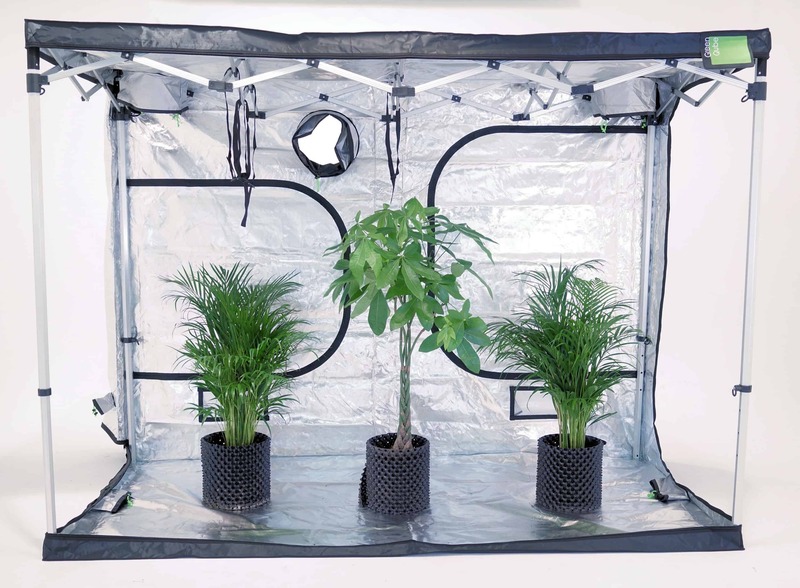 We strive to provide innovative high quality grow tents at low price points. 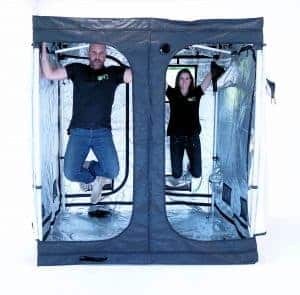 We have a range of over 30 grow tents, including the Roof-Qube and the Quick-Qube, the brand new first-of-its-kind pop-up grow tent. Based on an adapted industrial gazebo frame, the patented design literally allows you to simply drag the frame out to put it up. What did you and your partners do before starting this company? Very randomly I branded high end parasols, umbrellas and gazebos from corporations, breweries, hotel chains, big events and all sorts of companies! I worked closely with contacts in China to source and manufacture such products as well as having over 10 years’ experience importing. 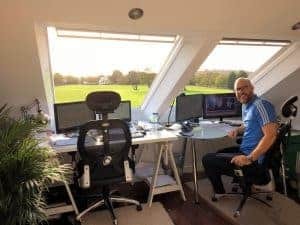 I also had a passion for design and spent time educating myself in design software so I could get involved with the design element of the role too. I absolutely loved this side of the job, especially as I have always had a geeky curiosity about design, architecture and engineering. My brother runs a large local hydroponics shop and so I have always been interested in the industry. He always kept me updated with what was going on product wise – where the demand was and what product areas were expanding. One discussion that kept coming up was that there were no decent strong durable grow tents out there for a decent price. With my contacts in the Far East and my importing knowledge I decided to start looking into it. After a year or two of dedicated design and testing the Green-Qube was born. I started designing grow tents in 2009 and the first Green-Qube hit the market in 2011. Being Welsh, it was important for me to stick to my roots and run the business in from Wales. I choose Cardiff as it was such an expanding and diverse city, and it is just down the road from my hometown of Caerphilly so I could stil pop home for my mum’s home cooked dinners! And yes Caerphilly is where the famous cheese comes from! We have moved locations but not far! We are now just outside Cardiff in the buzzing creative seaside town of Penarth. With age, kids are now in the equation so a quieter pace of life and the beach was a real drawn. It is important for us to have a work-life balance and Penarth offers amazing cafes, bars and restaurants as well as countryside and sea – what more could you want! Our product line diversifies and grows year on year. We have become known within the industry as innovators and are proud to be the first to bring countless new concepts and features to the market. Being design-led this came naturally to us and we loved the chance to create innovative solutions to problems that growers had. Based on feedback and ideas that growers themselves had, we took to the design board and got creative. Not only brand new features and time and money saving nifty ideas such as the Uplift Bar for gravity-fed water systems, which now most grow tents have as standard (copying our concept! ), we also thrive on bringing new tents to the market. After the success of the Green-Qube, the Roof-Qube followed. 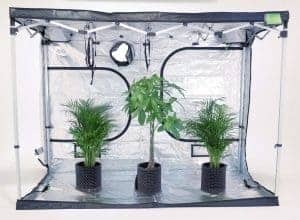 This was the grow tent that really got us noticed as it was first grow tent designed specifically for attics. It allowed people, for the first time, to grow in loft spaces. 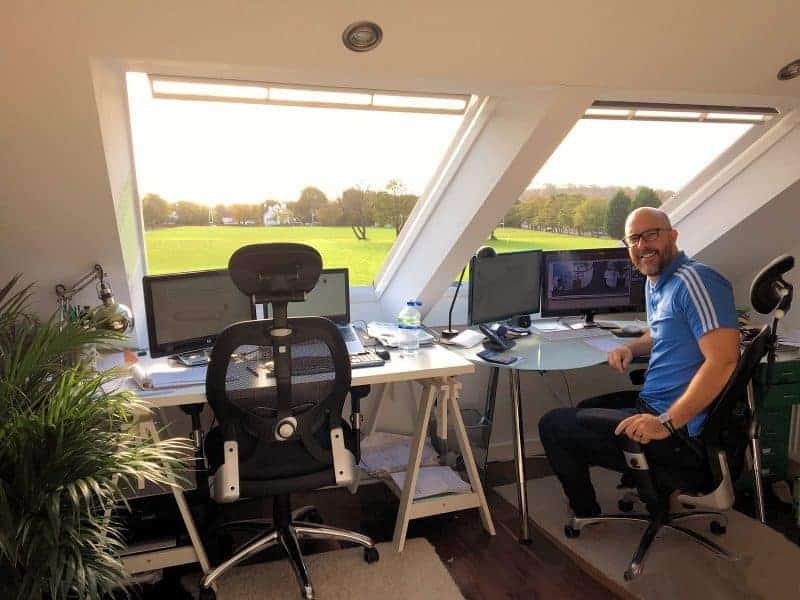 There was a huge need for people to maximize the space to grow and this opened up a whole new level to growers, especially in the UK where houses are more tight on space. Our latest addition is the revolutionary Quick-Qube. Again this a brand new concept to growing indoors but this time we have learnt from our mistakes and invested in a patent to protect the idea and concept! The Quick-Qube is a completely new & different way to create an easy growing space FAST. Adapted from an industrial gazebo frame, the pop-up framework combines Green-Qube’s class-leading outer shell with a super sturdy yet lightweight aluminum frame. The frame comes as one piece so it simply pulls out and clicks up so you can put your grow tent up – and down – in minutes. It also means that you won’t lose any poles and it is much easier to store. As it is aluminum it doesn’t rust or corrode and it is even stronger than steel. It can easily hang over 100kg of it. We believe in this frame so much we are offering a 1 year frame guarantee too. As a UK company we predominantly sell to the UK as well as all across Europe. We also distribute to more far flung countries such as Chile! Our big project for 2018 is moving into the US and the Canadian market. We are excited to be backed by Wales Trade, run by the Welsh Government, who believe in us and our products that they are going to be helping us establish our brand in the US and supporting the work we do out there. We all have a passion and drive to build and develop our products and the company. We work closely together and make sure we communicate and share whatever is going on. However big or small. To develop a brand that has grown so quickly and seen in such high regard within the industry really spurs us on. What’s better than working for a successful and expanding company? And of course we love to celebrate that too! Go karting seems to bring out everyone’s competitive side – and we tent to finish off the day by eating a lot of meat and consuming beer in Cardiff! Socializing and celebrating our successes is definitely vital to keep that team spirit alive.